There are no comments for Tri-color After A Shower. Click here to post the first comment. 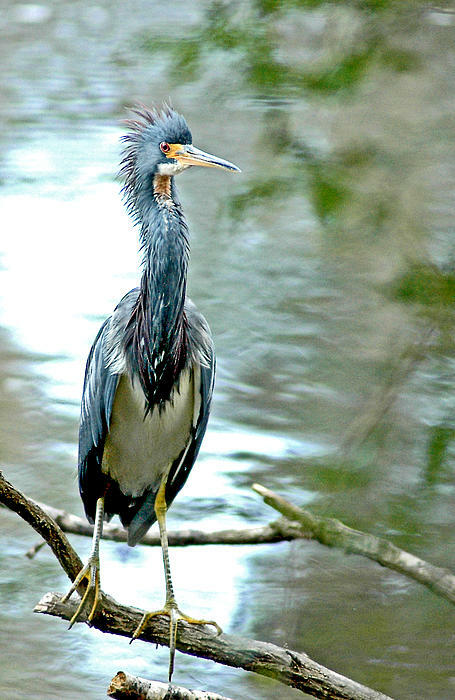 It was a rainy day and this tri-colored heron had gotten soaked in the downpour. 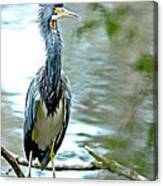 Tri-colored herons�(egretta tricolor), formerly known as the Louisianna heron, can be found in the coastal sub-tropical swamps of the southeastern United States, Mexico, Central America, the Caribbean, down to central Brazil and Peru in South America. It is a medium sized slender heron measuring from 23.6" to 27.6" in length with a wingspan between 37.4" and 38"�with a long slender neck and long orange yellowish-brown bill with a black tip.The long legs are yellow or orange as well as the feet. �The head, neck, back and upperwings are a blue-grey and a white line runs down the neck to a white belly. 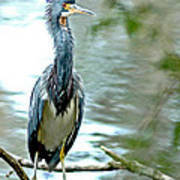 During breeding season the bill turns a bright blue and some white feathers extend from the back of the head.